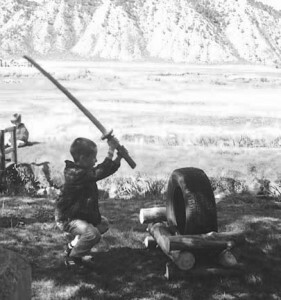 Charlie Fessenden in Eagle, Colo., 2006. At its most basic, fundamental level, testing plays a key role in ensuring the consistency and integrity of any practice whether martial arts, academics, business, medicine or virtually any established system. Testing within our practice functions as an assurance that the core fundamentals are intact and documents continual progress and growth. Birankai Aikido instructors gave some powerful seminars this past weekend across the U.S.
Today’s clips include Bernadette Vargas at Aikido of Albuquerque and Robert Savoca at New England Aikikai. Birankai Midwest also gathered this past weekend for a weapons seminar at Fox Valley Aikikai — more clips coming soon. Lots of energy and dynamic practice this past weekend at the Birankai Aikido East Coast Regional Seminar in Vernon, Conn. Thanks to everyone who made it happen, especially the hard-working crew at Fire Horse Aikido! See more videos from the event at the BiranOnline channel on Youtube. More new video up today at BiranOnline of teachers featured at upcoming Birankai events. Today: Lorraine DiAnne Shihan, George Lyons Shihan, Frank Apodaca Sensei and Robert Savoca Sensei. All are scheduled to instruct this weekend (Nov. 7-9) at the East Coast Birankai Aikido Regional Seminar in Vernon, Conn.
See you on the mat this weekend! This coming weekend my dojo is hosting our Birankai East Coast Regional Seminar, and I’m about to go nuts. Details are buzzing through my brain like gnats: Who can put up visitors? Will we have enough gluten-free options at the potluck? Will the pole-dancing class next door to the seminar be a distraction? Not to mention that we just moved Fire Horse Aikido this past week to a new location, with all the craziness that entails. Can people find the new place? Will we have enough tape? Why does every dojo space we find have some kind of leak? But every time I start to lose it, I have to remind myself that we have the basics: people to train with and a place to train. 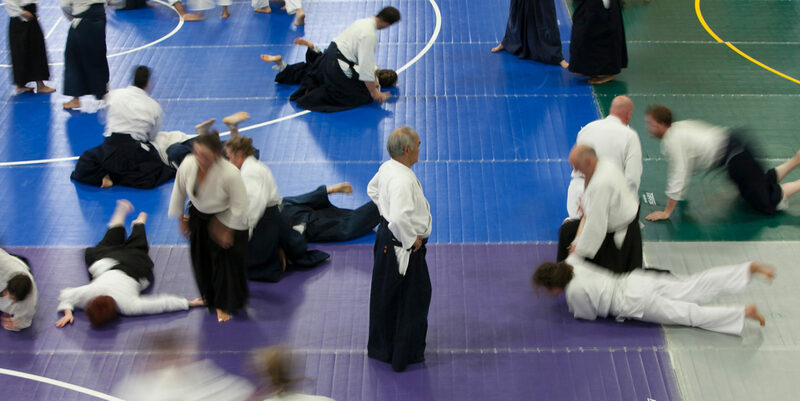 This weekend – on both East and West coasts – Birankai Aikido practitioners will gather on a mat and practice. That’s all that really matters. Who cares about pole dancers? In that mode, I’ll be posting new video this week from instructors scheduled to teach at upcoming Birankai regional events. By gathering to practice Chiba Sensei’s Aikido with spirit and commitment, we’re keeping Birankai strong and honoring his ongoing legacy. Today I’ll post new video of Mike Flynn Sensei of Thistle Aikikai, who is slated to give a seminar at Alameda Aikikai Saturday and Sunday, Nov. 8 and 9. The Birankai Aikido Northeast Regional Seminar will take place at Aikido Hartford this Friday, Saturday and Sunday. Next weekend, Nov. 14-16, features Birankai events including seminars with Darrell Bluhm Sensei at Clallam Aikikai, Alex Peterson Sensei at Aikido of Albuquerque and the Midwest Regional Weapons seminar at Fox Valley Aikikai. Pack up your gi bag and weapons and see you there!